Adam is an avid amateur astronomer, sailor, archer, and theatrical enthusiast. So, you've been bitten by the astronomy bug. Perhaps you attended a local Star Party with the local astronomy club. Or maybe you've just always been fascinated looking at the heavens at night and wonder just what exactly those twinkly celestial diamonds truly are. Or perhaps you've seen pictures of the deep space nebula and galaxies and want to try your own hand at capturing some of the universe's most dazzling phenomenon. Since the dawn of time, humans have been mystified by the night sky and there is something in us that draws our eyes heavenward once the sun sets at night. Over the last few centuries, the invention of the telescope has brought us some of the most profound revelations about our place in the universe. 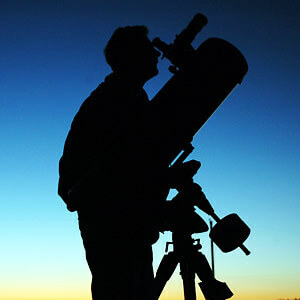 Today, the hobby of amateur astronomy is more affordable and obtainable than ever before. With advancements in optics, computerization, and digital imaging the backyard astronomer has more power available to them than the pioneers of astronomy centuries ago. Making a decision on what telescope to buy can be confusing to someone just getting their feet wet. This guide will help you in making your decision. Getting the right telescope for you can mean the difference between an enjoyable experience or a frustrating one that leaves you wishing you had never bought a telescope in the first place. So, let's look at the first question you should ask yourself—what kind of stargazing do you want to do? What Kind of Astronomy Do You Want to Do? Generally speaking, there are two types of backyard astronomy (visual and imaging) and two types of targets (planetary and deep space objects). Depending on what you are wanting to do will determine what kind of telescope you should buy. If you want to capture textbook quality images, you don't want to buy a telescope that is great at visually seeing DSO's (deep space objects) only to find out that imagining them through your telescope is a pain. If you want to spend your nights star hopping searching for beautiful vistas, you don't want to buy a top-of-the-line imaging telescope, only to find out that what you can visually see with it is so dim and faint that the experience is less than inspiring. Once you determine how you'd like to spend your time under the stars, then you can start to hone in on what type of telescope you need. All types of telescopes have their pros and cons, and we will go over each. So what are the main types of telescopes available to the amateur astronomer? Well, there are 3 main types; Refractor, Reflector, and Cassegrain (compound). All three have their pros and cons and choosing the right one for you is important to making sure you have an enjoyable experience and can accomplish your astronomical goals. The first type of telescope ever invented and what most people visualize when they think of the word "telescope" is a refractor telescope. You'll recognize them by their long skinny tubes with eyepieces normally located straight off the back. The refractor telescope gets its name from the way in which it focuses light. As light enters the telescope it passes through a glass lens. This lens then bends (i.e. refracts) the light and focuses it down to a single point. Think about how you'd use a magnifier glass to warp the sunlight to set a piece of paper on fire. The refractor telescope uses this same principle. By gathering light and focusing it down onto an eyepiece, we are able to magnify distant celestial objects. However, there were some issues with this early design. The most prominent issue has to do with how light reacts when passing through a lens. Have you ever seen light pass through a prism and split into all the colors of the rainbow? This happens because different wavelengths (colors) of light bend at different rates. This can be problematic when using lenses to focus light in telescopes. You end up with a phenomenon known as Chromatic Aberration (CA) where the red and blue wavelengths bend at different rates creating a purple haze around bright objects. For this reason, many beginner (and inexpensive) telescopes are called Achromatic Refractors and, for most beginning astronomers, this type of telescope is a great choice. They are easy to use, provide decent views of celestial objects, and are virtually maintenance free. Advances in optics have been able to solve the issue of chromatic aberration through special lens design, lens coatings, and using specialty glass. 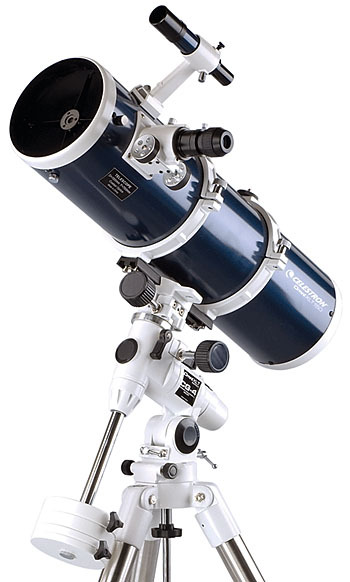 These refractor telescopes are commonly known as Apochormatic or APO Refractor telescopes. But these advanced optics come with a hefty price tag—but for astroimaging (astrophotography) nothing will ever beat an APO refractor when it comes to contrast, clarity, and level of detail. So, if imaging is what you're interested in, then start taking a look at APO Refractor telescopes as they will give you the optics required for those textbook quality images. As the first astronomers tried to peer deeper into space, their refractor telescopes got larger and larger. The bigger the scope, the larger the lens, and soon the weight of glass lenses and the amount of chromatic aberration just made them impractical. Then Issac Newton made a breakthrough in optical technology. Instead of focusing light through a lens, he took a large mirror that was slightly curved to focus the light by reflecting it down to a focal point. By simply reflecting the light instead of refracting it through a lens, he was able to completely eradicate the chromatic aberration issue. Mirrors also don't suffer the same weight issues as lenses, so he was able to make much larger telescopes. Also, back then, there was no such thing as astrophotography. You could only observe what you could see in real-time. This means that the bigger your light gathering device (known as aperture) the more light you can focus onto your eye, the dimmer the objects you could see. This type of telescope is now known as the Newtonian Reflector, or simply, the reflector telescope. You'll recognize them by their stocky tubes with eye pieces located near the top and on the side of the telescope. This makes them a bit bulkier than the refractor telescope, but not so much that you can't still fit them into a small car to transport to you dark sky site. Plus, because of their increased aperture, it's much easier to spot deep sky objects for visual astronomy. There are some cons with the reflector style design. First, as previously mentioned, they are big and bulky. If space and portability are a concern for you, don't expect to be throwing one of these into a backpack anytime soon. Also, the mirrors won't deliver crisp images until the telescope has cooled down to the nighttime temperature. This process can take some time and might cut into your viewing time depending on where you are. Mirrors will also lose their calibration over time and will need to be routinely collimated which is an easy process, but still something you'll need to learn and do. Reflectors also suffer from the diffusion of light that takes place through the reflection process. Opposed to a refractor telescope which focuses the light directly onto the eyepiece, light entering a reflector has to first reflect off the primary mirror at the base, back up the tube to a small mirror near the eyepiece where it is the reflected again at 90 degrees out of the tube to the eyepiece. This means that a reflector telescope will never be able to get the level of contrast that a refractor can. For value and visual astronomy, nothing beats a good reflector. They are the cheapest design for the aperture you get (which means brighter images). When it comes to visual astronomy, aperture is king. If going into the backyard and spending hours stargazing and hopping from star to star is your thing, then a reflector telescope is definitely the way you want to go. They don't make good imaging telescopes though due to their long focal length and diminished contrast. The third type of telescope uses a mix of lense and mirrors to focus their images. Like refractor telescopes, they maintain the contrast and clarity of their light making stars look like little pinpoints of light on a dark velvet sea. And, like their reflecting siblings, they don't suffer from the same level of chromatic aberration as refractors. They are also very compact and this makes them very portable. 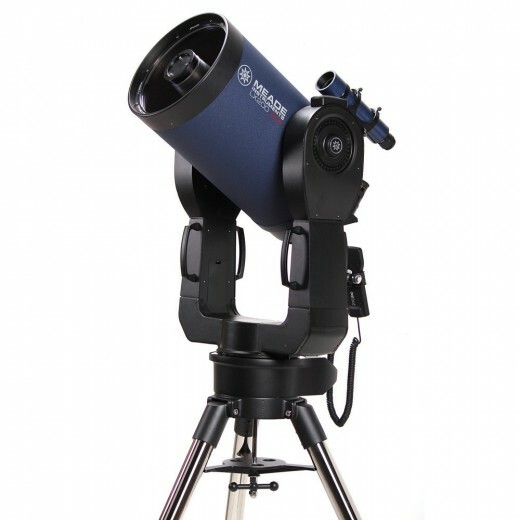 Cassegrain-style telescopes are also commonly partnered with GoTo computerized mounts that makes them very appealing to the beginner astronomer as all you need to do is punch in some numbers on the keypad and the telescope will automatically find and track celestial objects for you! While any telescope can be paired with a GoTo mount, the compact nature of Cassegrain telescopes makes them the perfect match. For visual astronomy, Cassegrains are just as good as reflectors, but they do carry a higher price tag. What you get for that added expense is portability, ease of use, low maintenance, and gorgeous views of the nighttime sky. Cassegrains are decent at astrophotography, and provide a good middle point between imaging with a less expensive reflector or achromatic refractor and spending thousands of dollars on a good apochromatic imaging refractor scope. If you're mainly looking to do visual astronomy, but would also like to dabble in astrophotography, then a Cassegrain design might be a good option for you. So Which Telescope Is Right for You? So, now that you've got a basic idea on the different level of telescopes and what their strength and weaknesses are, take a moment to think about which telescope would best meet your goals in astronomy. Let's break it down really quick. 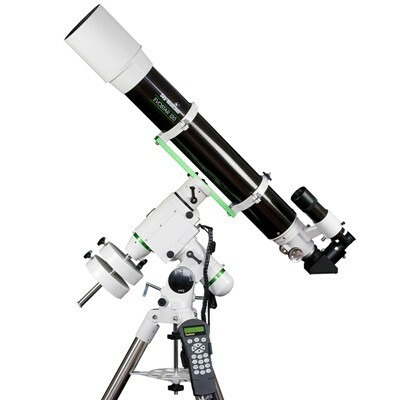 If you're looking for a low maintenance, easily portable, beginning telescope and mainly want to visually observe the planets ... then an inexpensive refractor would be a good choice to get you started. If astrophotography is what you eventually want to get into, then a high-quality APO refractor is your best choice, but very expensive. If you're just getting into astronomy and are more interested in what you can see while looking through the scope, then nothing will give you a bigger bang for the buck than a reflector telescope. While you can do imaging with a reflector, it will never match a good imaging refractor. However, a good reflector will always "wow" you on those dark nights under the stars. Cassegrains have gained a ton of popularity in the astronomical world and with the amateur astronomer. They are easy to store and haul around, are good at visual astronomy, and are very user-friendly when paired up with a computerized mount. 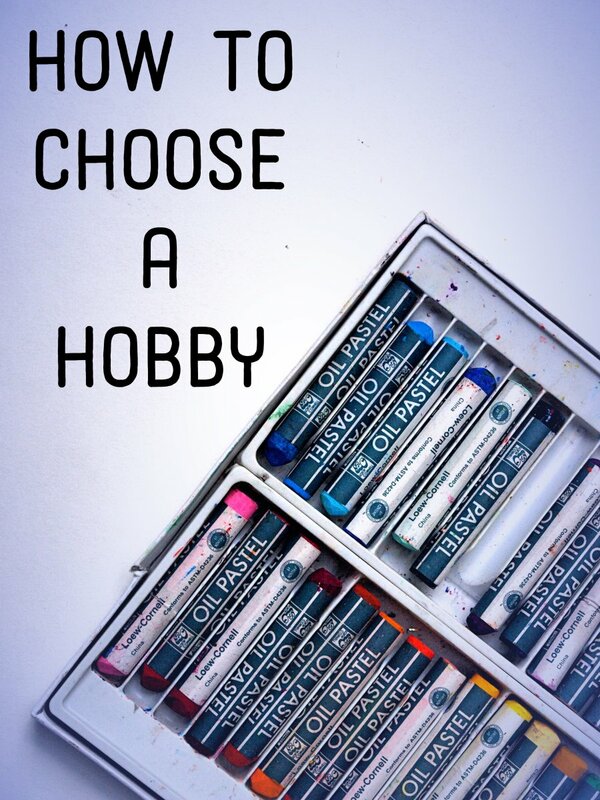 If you have the money to burn on a new hobby and want the easiest, most versatile scope you can afford, then you'd probably want to consider a Cassegrain design. Now that you have decided on the type of astronomy you'd like to do and have figured out the best scope to meet your goals, there are tons of other things to keep in mind. Remember, the telescope is just the scope. You'll also need to think about the other equipment you'll need such as a tripod to serve as a platform for your scope, filters, and lenses to attach to your scope to get the best viewing magnification for multiple targets, astro-imaging cameras, etc. I'll cover the other items you'll need to consider in future articles. For now, if you are just beginning, look for a telescope that comes with a basic tripod and a few (maybe one or two) lenses to get you started. You can always upgrade and add to your collection later. I wish you the best of luck on your adventure! The endless sky awaits you!